We've provided answers below to some of the most frequently asked questions. We welcome an opportunity to discuss our vascular screening processes, technologies and reporting in greater detail, and hope that the information provided here is helpful in addressing your specific concerns. Please do not hesitate to contact us if you do not see your specific question answered here. What is the difference between a screening and a diagnostic study? Our mission is to provide you, the participant, with knowledge about your circulation which will inform you of your choices and help lower your risk of heart attack or stroke. AngioScreen® provides information about your heart rhythm, neck and leg arteries, blood pressure and fitness. The object of a preventative vascular screening is to identify certain, but not all, risk factors for vascular disease. The idea of a screening study is it should be inexpensive, readily available, educational and very reliable with few false negatives. No study is 100% accurate. Screening is not meant to be a substitute for a thorough examination or testing recommended by a physician. The data received from AngioScreen® is preliminary, for informational use only and is in no way diagnostic or conclusive. I have a doctor. Why do I need AngioScreen®? AngioScreen® is not trying to replace your doctor. We are simply trying to provide you and your doctor with more information that can help you to reduce your risk for vascular disease. You are encouraged to take your screening results to your personal physician. The goal of screening is to provide you with information so that you can be more Informed about your vascular health. You are instantly provided a color report sheet of your results. Any abnormal findings are highlighted in red. Additionally, you will receive a color and black and white image of your left and right carotid arteries. Can my physician do this type of general health screening as part of my routine physical? Yes, however most physicians do not order ultrasound images of the carotid arteries unless you are experiencing symptoms. Unfortunately, the first symptom is often the heart attack or stroke. They are not able to order them as a preventive measure. Most insurance providers do not cover the cost of "preventive" screenings. Our goal is to identify individuals with significant cardiovascular disease through the screening process, before a problem occurs. AngioScreen® is a mobile unit and can be operated in a variety of settings including industrial, corporate, civic buildings, and healthcare facilities. The required space is only a 10'x10' area. We bring all the equipment necessary to perform the screening. Does Medicare or insurance cover your professional health screenings? Medicare does not currently allow for coverage of our screenings. Insurance coverage varies from policy to policy. We will provide you with a detailed receipt that can be submitted to your insurance company to determine coverage. You also receive a digital copy of your results to give to your physician or insurance provider. All insurance policies are different based on your individual coverage. We are covered under most employee Flexible Spending Accounts and Health Savings Accounts. 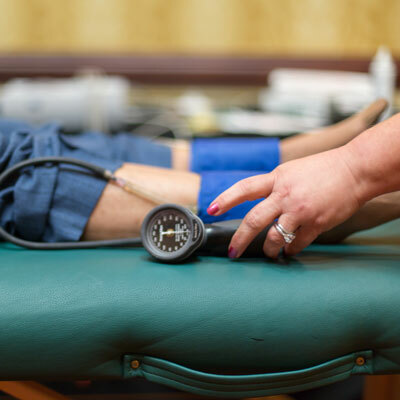 How often should I have these general health screenings done? Many of our cutomers come back on a yearly basis. Since plaque buildup is a progressive disease, many people feel comfortable being screened annually as part of their preventive healthcare regimen. It is important to follow the progression of your vascular health, so we recommend repeating your AngioScreen® annually. How long does it take to have the screenings done? Each AngioScreen® health screening takes less than ten minutes. The entire process from paperwork to consultation should be fifteen minutes. I work; can I get a later appointment? We try to accommodate working people with early appointments and times available during lunch hour. We often have later appointments available and some screenings are offered on Saturdays and Sundays. The AngioScreen® unit can be brought to your workplace and made available to you and your fellow employees on site. We will work with employers to make sure all employee shifts are covered. When will I receive my general health screening results? Instantly, on the spot, you will leave with a color printout of your results including any abnormal findings highlighted in red and a black and white and color image of both your left and right carotid arteries. Included in your folder will also be your results digitally and educational materials on how to help prevent your heart attack or stroke. 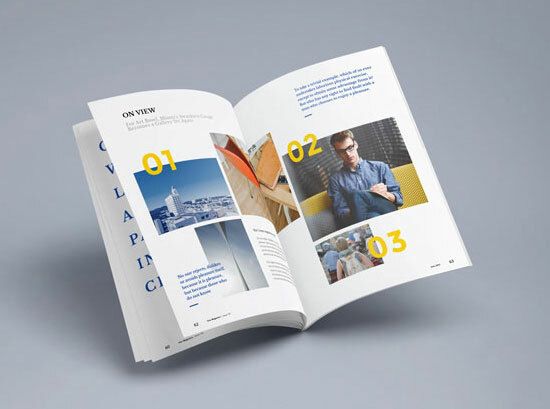 By the time you put your socks and shoes on, your personalized results are printed. Will I be diagnosed after my appointment? No, the mission is to provide you with information about risk factors for heart attack or stroke. We go over your results with you in a non-diagnostic consultation. Any abnormal values for blood pressure, heart rate, heart rhythm, PSV, ABI and BMI are highlighted in red. Your four carotid artery images are compared to arteries with varying degrees of disease. AngioScreen® offers an affordable, high quality screening through the use of state-of-the-art Doppler color flow ultrasound technology. 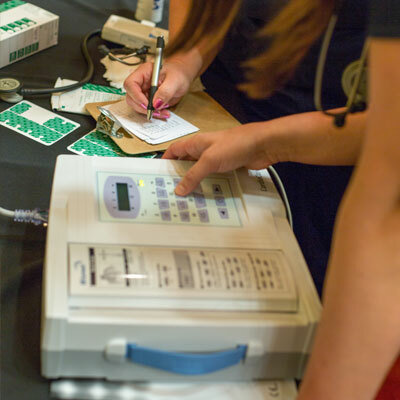 We use the same ultrasound technology found in most hospitals or emergency rooms. What are the qualifications of your ultrasound Sonographers? Our highly skilled and experienced sonographers have all completed formal training programs in ultrasound and clinical rotations in a hospital environment as well as specialized training from AngioScreen® National Trainers. Our sonographers are active members of the American Registry of Diagnostic Medical Sonographers, ARDMS, or, CCI. Being a mobile operation, how can we be sure that your equipment is up to our standards? We have full support plans for all of our imaging equipment with preventive maintenance performed two times a year. All machines perform a self-diagnostic check and continually recalibrate throughout the day. Our technicians must be registered and keep their credentials up to date through CME. Additionally, we follow procedures for Quality Control and Quality Assurance as outlined by our Medical Advisory Board. No, no needles are involved with the screening. No blood work is taken. It is a completely painless procedure. It is non-invasive and involves no radiation. Can I have the health screenings if I have a pacemaker? Yes, a pacemaker will not interfere with the screenings. Can I have the health screenings if I am pregnant? Yes, no radiation is involved with the screenings. Why are are your tests shorter than those performed in hospitals? 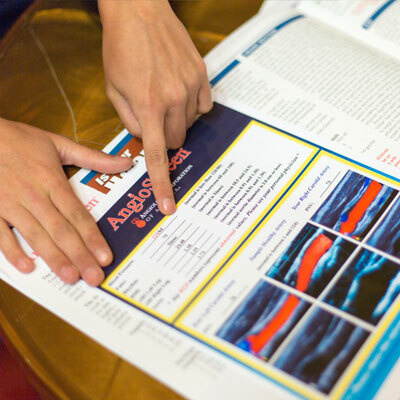 AngioScreen® is only a screening, your first step in learning about your vascular health. It is not meant to be a diagnostic study. Sonographers look for the area of greatest plaque and capture only one image for each carotid artery. If your physician is concerned about the nature and degree of plaque, he or she may order a full diagnostic study. With our qualified technologists and state-of-the-art ultrasound machines, we are able to actually visualize the inside of the arteries and measure the velocity of the blood going through these arteries, using abbreviated, medically approved and accurate protocols. I am concerned about privacy. How private is the testing area? Since the vascular screening is non-invasive, a screen is not necessary, though some locations use privacy screens. There is no disrobing. Nothing is exposed except your feet, ankles, wrists, and collar bone. Your health information is protected and is not shared with your employer. How accurate are your health screenings? 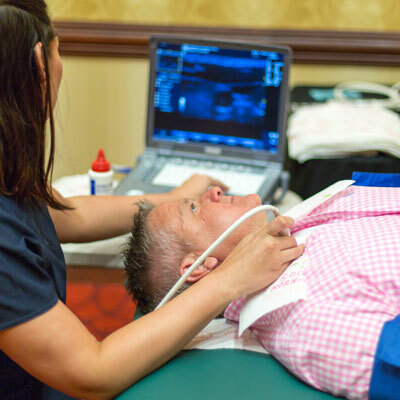 Ultrasound is the most accurate technology we have that is safe, non-invasive and allows us to look directly into the carotid arteries to visualize plaque build-up. Our adherence to a strict protocol, highly qualified technologists, state-of-the-art equipment and internationally recognized physician advisory board make our screenings extremely accurate. Why don't your results give percentages of blockages? Our tests are screening in nature. Our goal is simply to identify a potential problem before it causes any harm. However, the PSV reading is recorded. If your value is abnormal, it will be highlighted in red and thus your velocity measurement indicates that you have greater than a 50% level of blockage in your carotid arteries. The carotid arteries carry blood to the brain. Narrowing of the carotid arteries increases your risk of stroke. Thickening of the inner lining of the carotid arteries, which is how plaque begins, is correlated with blockages of the heart's arteries. Plaque in the carotid arteries is associated with the presence of plaque in the heart's arteries. So studying the carotid arteries gives you information about your heart's circulation. 15% of all strokes occur because of plaque in the carotid artery. If my cholesterol levels are within normal range, would it be necessary to have an AngioScreen®? Yes, cholesterol level is not the best indication for your risk of a heart attack or stroke. The Ankle Brachial Index is the number one indication for vascular disease. 40% of individuals who suffer a heart attack have normal cholesterol levels. Checking your cholesterol is only one measure and certainly not the most predictive. 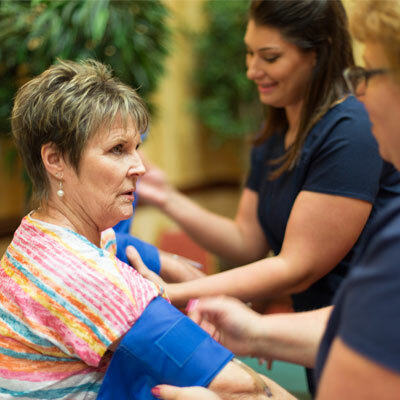 AngioScreen® measurements provide an assessment of risk that can be enhanced by consultation with your personal physician who may recommend other measures of vascular risk and health. Remember that all screening measures have a range of validity and none are completely accurate or 100% predictive. There are false negative and false positive results in any screening measure. Only a physician is qualified to interpret the significance of measurements and ultrasound images and to diagnose individuals in the context of their personal medical history. Screening tests do NOT replace regular examinations and consultations with your personal physician. 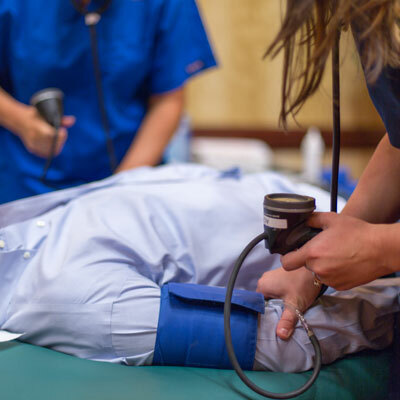 A normal health screening will not guarantee that the participant is in good health and/or that a stroke, heart attack or vascular disease is not a risk. All participants are encouraged to take their screening results to their physician. There is imprecision in any measure, and AngioScreen® is no exception. Since AngioScreen® gives YOU pictures of YOUR arteries, our data may permit a more informed interpretation of risk in consultation with your personal physician. Your measures and your images do provide you with important information regarding risk assessment. Knowledge brings power... the power to change...the power of informed choice. Choose well.